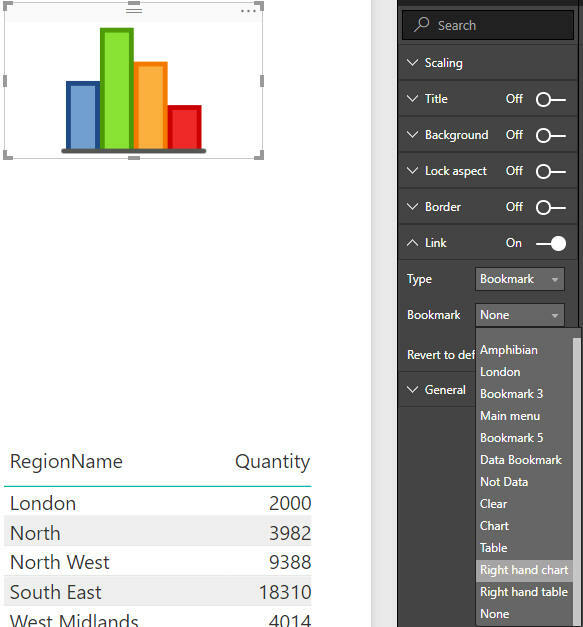 This blog covers the All/Selected Visuals bookmarks menu option (see other parts of this blog for how to use the Data and Display options). Most of the time you will have all three options ticked. All the other bookmarks were nice and easy. Is this one? 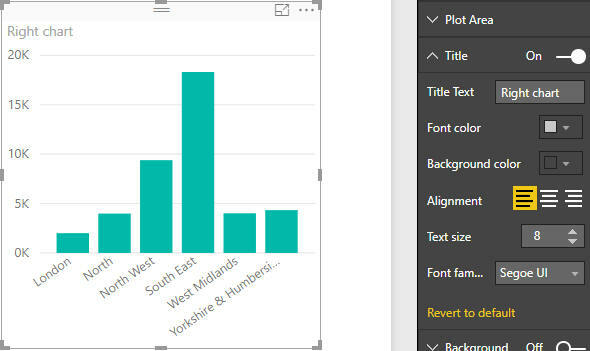 In this example I want to be able to click on the table images in the corners of my report and change the chart to a table. Each change should happen independently. 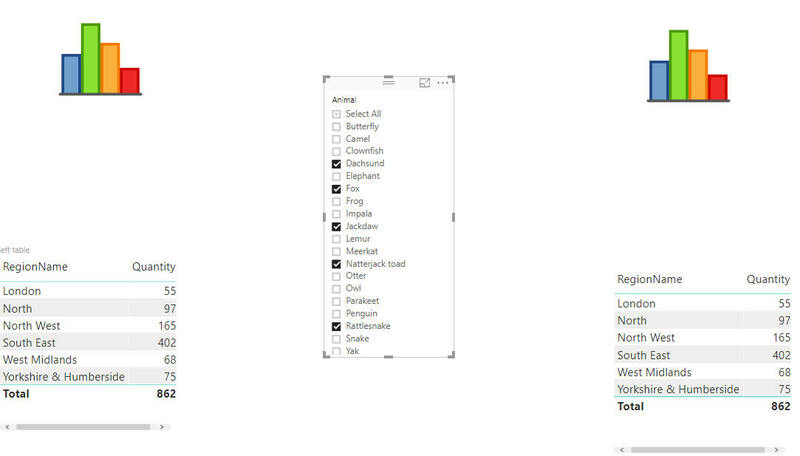 The first thing to note is there are more visuals on this page, which are currently hidden. 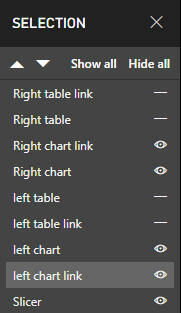 Underneath each of the table images I have a clip art image of a chart. 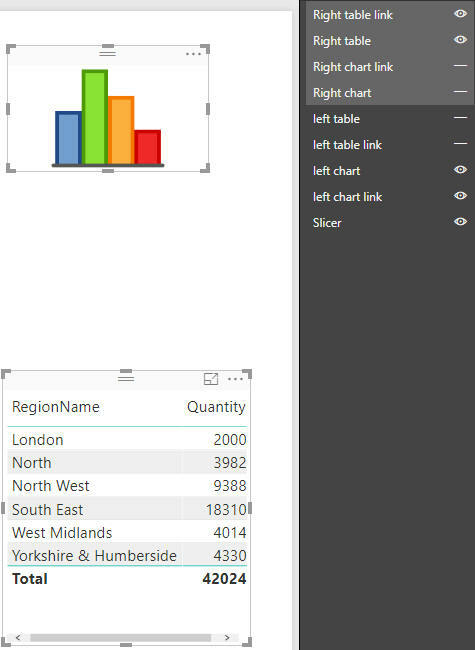 For this chart in the visualization pane I set the title to Right chart. To hide the title simply toggle it off. 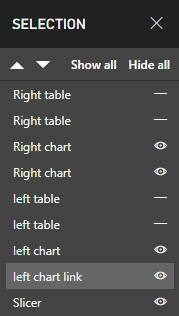 Anything with Right in the name corresponds to my visuals on the right (for example Right table is the table on the right). Make sure to include the hidden objects! I have un-ticked data so that my slicer will affect all of the visuals no matter the bookmark. Bookmark selected Bookmark not selected. 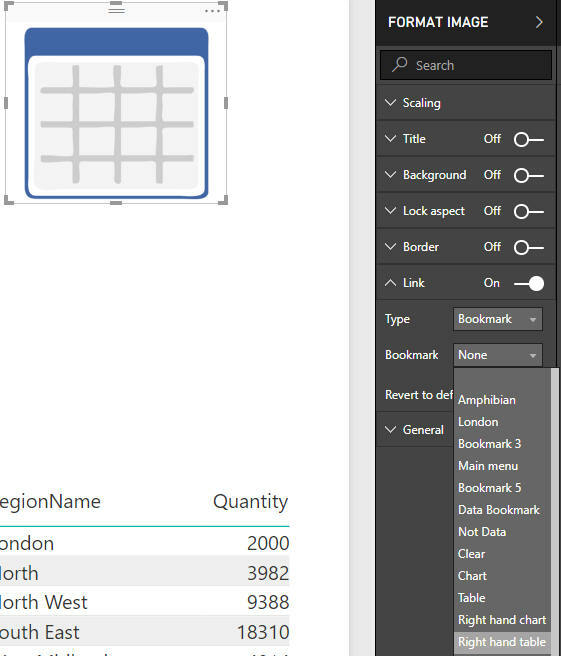 To unselect a bookmark either create an object then delete it or toggle the visibility of any visual. So far this Owl hasn't found another way to unselect a bookmark! It takes some time to do; will it be worth it? Importantly I am leaving Display ticked. 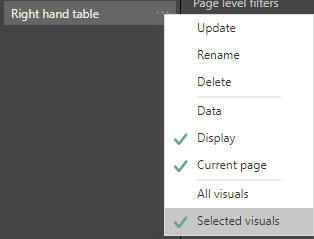 This saves the visibility setting of the visuals when the bookmark was created. Set the link to a bookmark, and select the bookmark you want to navigate to. 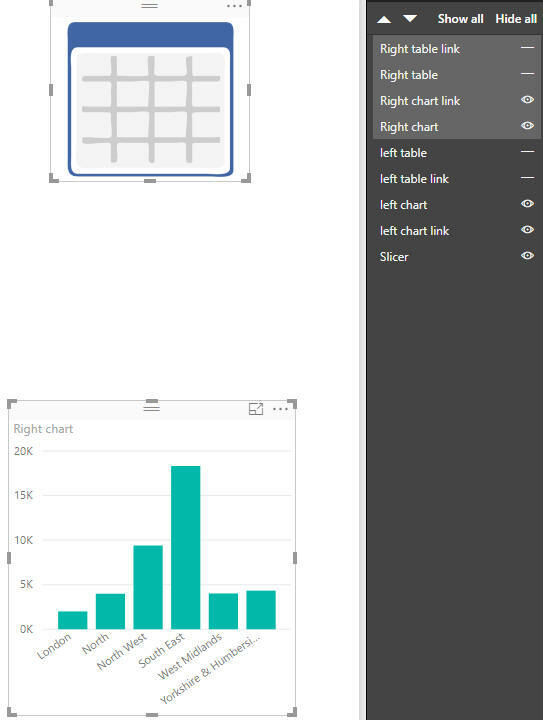 In this case when a user clicks on the chart Power BI Desktop should take them to the right hand chart. Can you feel a sense of completion? Now it is a case of doing the same thing for the left hand side. 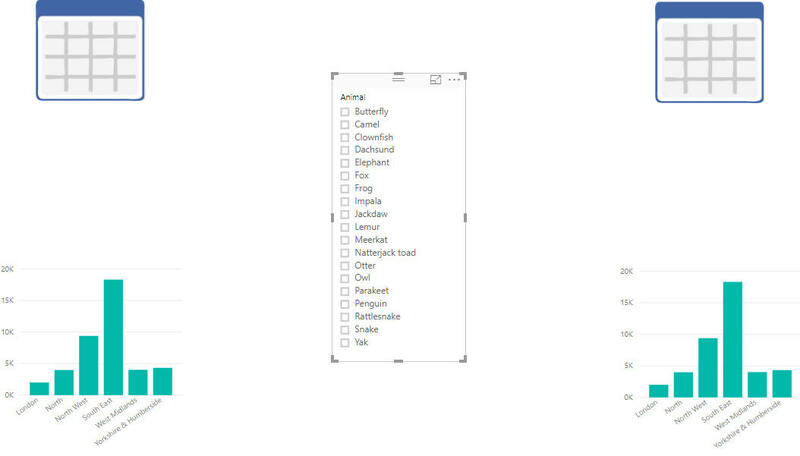 Remember to unselect the bookmark you have highlighted or everything will go wrong! Even better is because we un-ticked Data filters and slicers will affect both sides of the report. 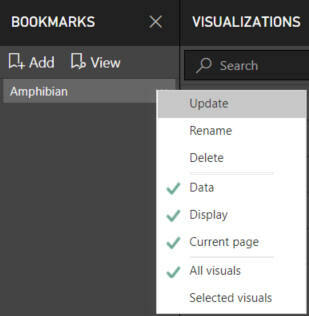 If you didn't want them to when creating the bookmarks, leave Data ticked! Not half as much fun!